As Experienced Litigators, We Know What it Takes to Hold The Right Parties Accountable in Your Product Liability Case. Every year, innocent people in Alabama suffer injuries due to defective products. Fortunately, Alabama state law allows victims to file suit against product manufacturers and/or retailers. At The Carter Law Firm, LLC, we have over 30 years of experience helping Jefferson County clients who have been injured by dangerous or defective products. With extensive litigation experience, we can handle your case from beginning to end. We know the ins and outs of the court system and know what it takes to win. Responsibility for allowing a defective product to hit the market lies with each and every member of the distribution chain. Under state law, products must meet “ordinary expectations” held by Alabama consumers. When a product is dangerous to those who purchase it, the product is considered defective. The seasoned lawyers at The Carter Law Firm, LLC offer years of experience litigating product liability cases. As with many types of personal injury cases, product liability suits are incredibly time-sensitive. With weekend availability and after hours appointments available upon request, there’s simply no reason to wait. Call The Carter Law Firm, LLC now, and let’s get to work. 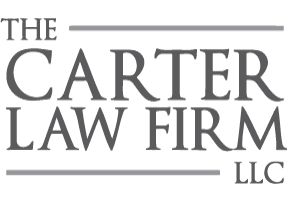 The Carter Law Firm, LLC represents clients in Fultondale, Gardendale and throughout the state of Alabama with cases involving product liability. Call (205) 808-0002 now to schedule your free 30-minute consultation.